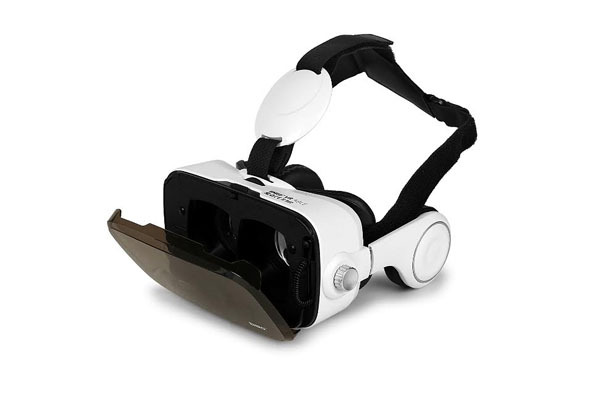 NEW DELHI: November 23, 2016: ENRG, a global leader in innovative consumer tech brands has announced the launch of its new VR Headset. The headset features inbuilt headphones and also sports PMMA lenses with adjustable focal length and pupil distance for eye safety and enhanced viewing comfort for the users. The glasses in the headset are embedded with ABS + PC eco- an eco friendly material coating. The 42mm diameters lens also helps reduce eye strain and glare for a comfortable viewing. Further more ENRG has also stressed in making the headset extremely light weight with adjustable head support and foam face cushioning, making it compatible for every consumer. It also furnishes an expanded field view, spanning around 90 to 110 degrees, fetching a fully immersive viewing experience of images and videos like never before. The headset is suitable for many popular smart phones in the 4” – 6” inch display category with a width of not more than 82mm. Offering a one year warranty, it is also packed with AR effect window for experiencing augmented reality. MUMBAI: Aqua Mobiles introduced a brand new device, the Aqua 3G 512, a dual SIM Android smartphone. The phone features a brilliant 4 Inch IPS display, and an ergonomically designed solid build that is also pleasing to the eye. MUMBAI: Gionee has announced the launch of its latest gadget- Marathon M4 in India. The new smartphone is available on Flipkart, and the USP of the gadget is its 5000mAh battery which can last up to 440 hours on standby. The smartphone also provides 50 hours of talktime. MUMBAI: South Korean based company Samsung has released its slimmest smartphone in the form of the Galaxy A8. The latest addition to Samsung’s long list of smartphones is also rather tech-savvy as it features a finger print sensor. MUMBAI: Samsung Electronics launched its latest smartphones- Galaxy J5 and J7 in India on 27 July, and the devices are exclusively available on Flipkart. Both, the J5 and J7, are dual sim phones and are available in Black, Golden and White. MUMBAI: Chinese mobile giant Xiaomi announced the open sale for its smartphone Mi 4i on 14 July. When the device first released in May, a user could buy the Mi 4i without registering, but this offer was available for just for two days, as part of a flash sale.